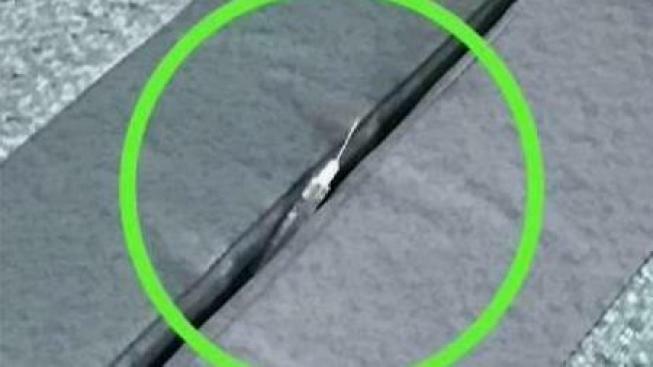 A hypodermic needle was found between two seats of a BART train Monday night. "I panicked at first," said Matt Korneck, who noticed the needle as he got on the train in Walnut Creek. "I didn’t know what to do, I went to go check the seat and I saw the needle sticking out of the cushion." Korneck said he looked in his backpack hoping to find something to remove the needle without having to touch it. "I found a lemon, so I put a lemon over the needle and found a plastic baggie and kind of carefully put it in," he said. Unsure of the needle’s placement, Korneck took it to the BART station agent and also posted a picture of it on social media hoping to warn other riders. BART said that it was not the first time something like that occurs. "Unfortunatly what’s happening is we’re in the midst of a national opioid epidemic.It's impacting our large cities," said BART spokesperson Chris Filippi. BART warns riders not to touch needles if they see any and to use the intercom to alert the operator so that cleaners could attend to it. They claim they are in the process of adding more personnel and that BART police are on the lookout for suspicious activity. "We’re also involved in a lead program law enforcement diversion where we’re trying to get drug offenders, nonviolent, low-level drug offenders services instead of [them] being criminalized," Filippi said.